March 9, 2017 - Posted at MrWeb News Online: London-based online panel and community specialist Beehive Research is merging analysis company Open House Research into its business. Open House is located in Wokingham, Berkshire and was founded in 2012 by Stephen Whennell [pictured, left], who previously worked at Maritz Research as Client Services Director. Before this, he led the Analysis team at Aura Corporation, focusing on customer satisfaction in the automotive, IT and telecoms sectors. Open House specialises in quant data analysis for small-medium sized marketing/market research organisations as well as end users of research. 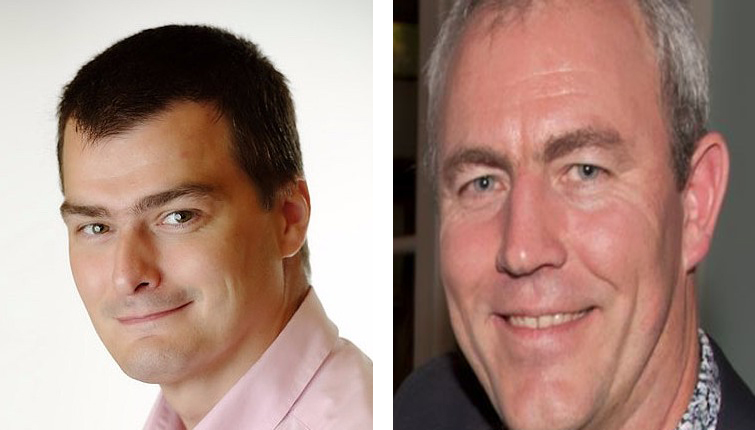 Beehive, which was launched in 2007 by former Experian researcher Paul Kavanagh [pictured, right], provides customised research solutions to help clients understand the customer experience and drivers of customer satisfaction. The two firms have collaborated for several years, and while Beehive will continue as the main brand, there will be a greater focus on the expansion of the analytics side of the business.